Living on our garden table. Are they not just robber bees attracted to where the box was? Probably. But most of the box is still at the other end of the garden and they seem very keen on this bit. 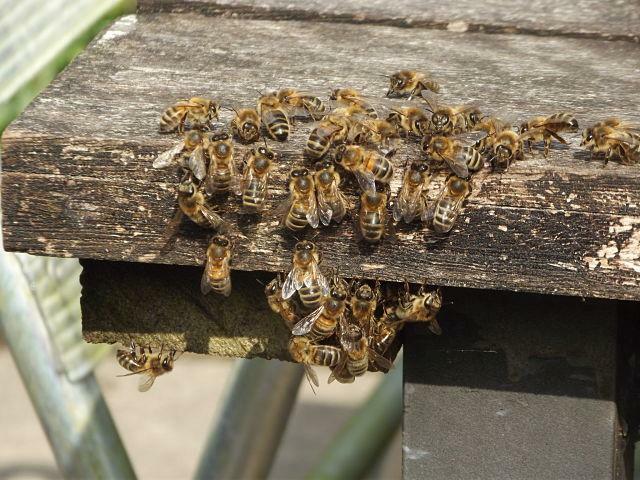 am i correct to think that in hot weather some move out as too many over strains the air con in the hive? that this can be "exiles" for the greater good or a young queen and half mum's staff to give her a good start? Very small number of bees to be a cast. 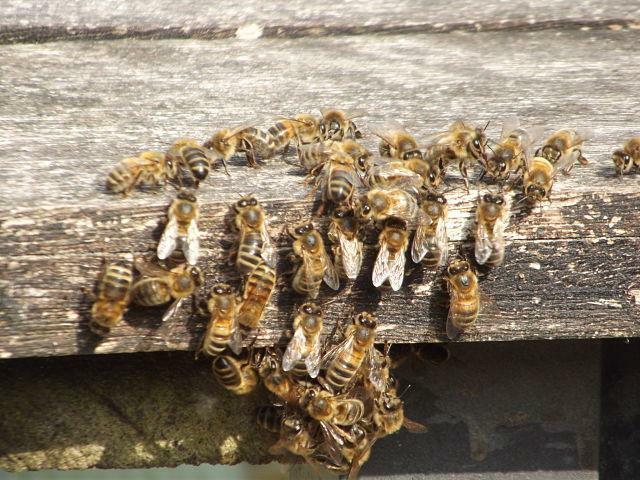 See what they do over the next few days; if they start building comb under the table you know they mean to set up home. As there are so few, they need combining with another colony I would think, as that number are not going to be viable even with a young queen.